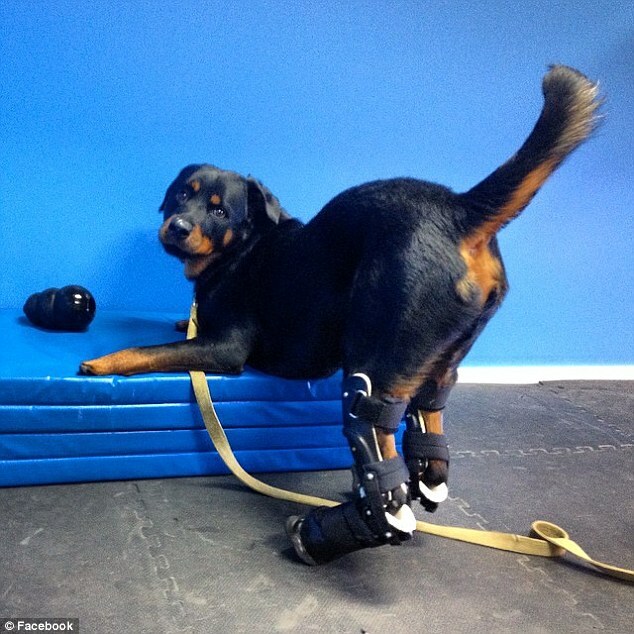 Brutus, the Rottweiler is the world's second dog ever to walk in prostethic legs!! Brutus, the 2-year-old Rottweiler who lives in Colorado (USA) has become the second known dog ever to receive four prosthetic limbs. 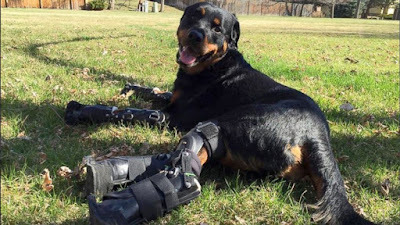 This cute Rottweiler became disabled after he was left outside in cold weather by his breeder when he was young and got frostbite on all four paws and was maimed by his breeder, who tried to amputate the damage at home but left Brutus even more brutalized. 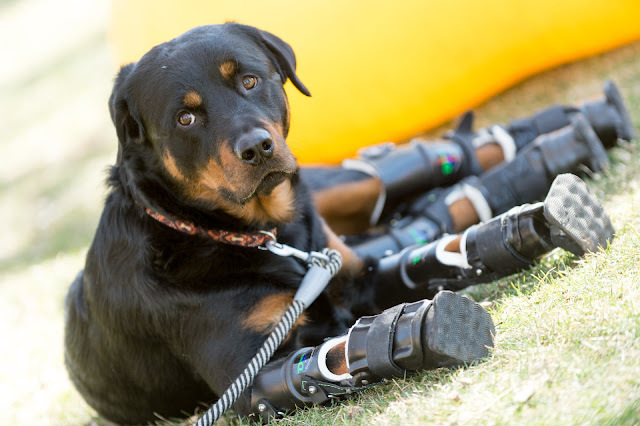 The Rottweiler underwent surgery to mitigate the damage at a Colorado Hospital but was left without paws and with misaligned legs still, something that made it difficult for him to walk, let alone run. The Rottweiler's new owner, Laura Aquilina started a funding campaign, which raised more than $12,000 that was enough for a company called OrthoPets to create new prosthetic legs for Brutus and for his physical therapy. 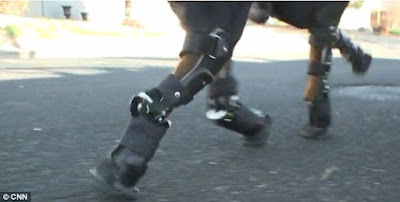 'You can't explain to an animal why you are putting these contraptions on their feet, and that you're doing it because it is to help them ' she told Fox 31 Denver.